Home » News » Immigration » Defend DACA – Our Community Depends on It! These are difficult times for our immigrant community and many are feeling anxious with the increasing number of deportations taking place in Connecticut and across the country. Every week, it feels like there’s a new policy meant to target our immigrant community and make our lives more difficult. One source of anxiety for many young immigrants and their families is the future of the DACA Program (Deferred Action for Childhood Arrivals). The DACA program provides certain undocumented immigrant youth (or “dreamers”) the ability to obtain a work permit and a social security number, and be shielded them from deportation for two years, which can be renewed. It has been life changing for thousands of undocumented youth in Connecticut. The future of DACA is in danger in the current national climate. Ten attorneys general from across the country have asked the Trump Administration and the Department of Homeland Security (DHS) to end the DACA program by September 5. 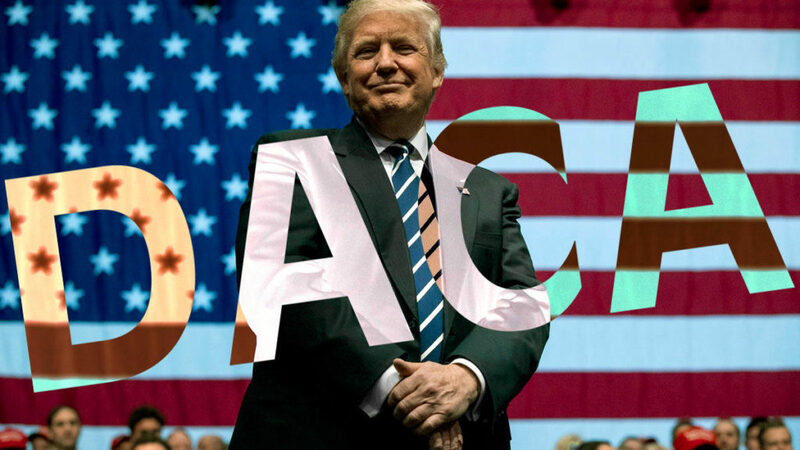 If it is not ended by then, the state attorneys general will file a lawsuit to block the program, just as they did with the DAPA (Deferred Action for Parents of Americans and Lawful Permanent Residents) program in 2014, which would have given undocumented parents of U.S. citizen children access to the same work permits as immigrant youth receive with DACA. I know the possibility of losing DACA is frightening for immigrant youth. I have DACA myself, and although I received DACA in my mid-twenties, I remember a time without it. It was a different time and I know it will be difficult to return to that, especially for the younger generation who has never known a time without DACA after high school. We still do not know what the DHS or the Trump Administration will do with the DACA program. Option one is that the administration ends DACA by September 5, and afterwards, no new applications or renewals will be taken. Option two is that the administration takes no action on DACA, the attorneys general file a lawsuit, and over the course of the next few months, as DACA makes its way through the courts, DACA is blocked by the courts and suffers the same fate as the 2014 DAPA program. Option three is that the administration decides to keep DACA and somehow instructs the DHS to defend DACA from the courts or to issue new protections for immigrant youth. It is all very uncertain at this point and there is no “likely” scenario. But one thing we do know is that DACA is not lost yet. If we fight to protect it, we can save it. The DACA program was a major victory for the immigrant rights movement. It became a reality because immigrant youth and allies fought for it. It wasn’t a gift; it was won by the community that advocated for it and demanded it. That side of history is often lost. Together, we can fight to protect and defend DACA! Beyond DACA, there are also two bills that have been introduced in Congress that would provide a permanent path to citizenship for immigrant youth – the DREAM Act and the American Hope Act. These bills represent a step forward; they are progressive and in the case of the DREAM Act, have bipartisan support. But the path toward new legislation is a long and uncertain one, and there are no guarantees that these bills will ever get a vote or pass, especially given the extremely partisan political climate nationally. We have DACA now, and we must fight to keep it and to protect it. We can’t pin all our hopes on new legislation. Now is the time to show this country how DACA has been a force for good for entire communities. It has allowed immigrant youth to work and give back to their communities, to support their families, to further their education. America is a better place if these youth are able to become full contributing members of society. We know our community has many questions – about what will happen with DACA, how we can protect ourselves and our families from deportation, and how we can fight back. Members of our community also have questions about their rights as immigrants. This is why CT Students for a Dream is hosting a series of “Defend DACA Community Meetings” across the state. We invite you to join us! During the events, there will be information on DACA, Temporary Protection Status and the DREAM Act, as well as information called Know Your Rights and what to do if Immigration and Customs Enforcement (ICE) comes to your door. Plus, you can learn how you can make a difference! Questions? Find us on Facebook: www.facebook.com/CT4adream or email us at info@ct4adream.org.